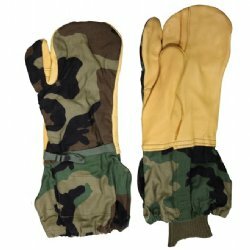 USGI trigger finger shells in woodland camo. 50% cotton, 50% nylon with leather palm. Add 70%wool/30%nylon liners for only $2.00!